Let QPS print colorful, self adhesive labels promoting your company, brand or product! Improve branding and packaging for your products with custom labels. These materials are perfect for labeling home goods, beverages and cosmetic products. Make it easy for your customers to identify your products and merchandise by adding your logo and important information. Labels are ideal for keeping things organized around the house and in the office. Simply stick the label to your item and store, ship or display. 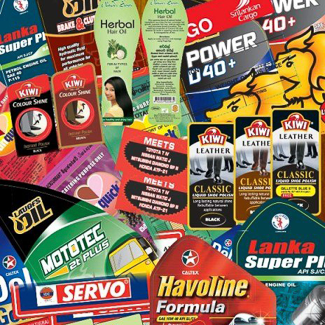 QPS provides you with quality labels ideal for your promotional and marketing needs. Stick them on your products and company assets. Choose from either cut-to-size or roll custom labels. QPS can supply you with all label sizes on a variety of pressure sensitive substrates.